They’re sporty, quirky, fun…and delicious! 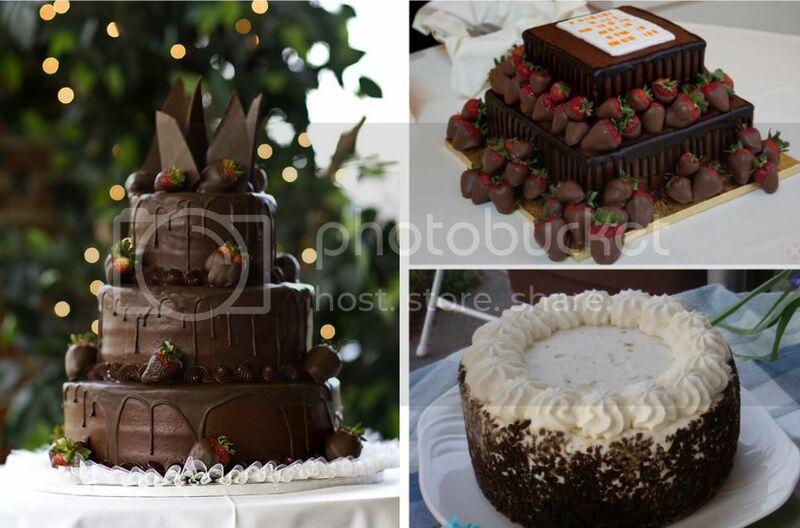 Grooms’ cakes are a welcome addition to any wedding reception. A groom’s cake is a way for a bride to include her groom in the wedding, and even show him a little thanks for his love, support and patience throughout all the wedding planning hassles. Grooms’ cakes have been around since the 1800s in England when grooms and brides had their own cake in addition to the wedding cake. The two cakes were sliced and served to the bridal party at the end of the wedding. 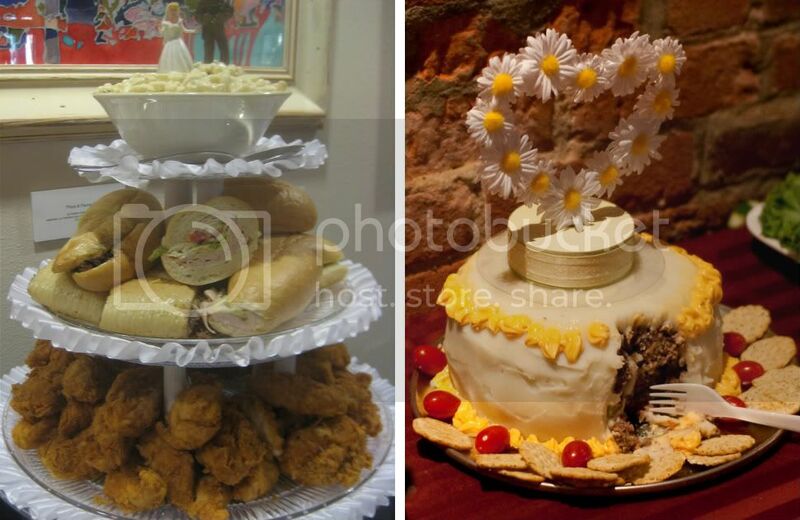 As the superstition goes, the tradition of the groom’s cake as we know it here in North America is believed to be started by a cake maker in Mississippi. Slices of the groom’s cake were boxed up and given to the unmarried women at the reception and, as legend has it, if the women sleep with it under their pillows they will dream about the men they will someday marry. Traditionally, the groom’s cake was made of liquor-soaked fruitcake because of it’s healthy shelf life. And although serving fruitcake was no longer necessary with the invention of the ice box in the middle of the 19th Century, many people still opted for the classic recipe. Serving fruitcake grooms’ cakes covered in fondant and marzipan icing is still a widely practiced custom in England. 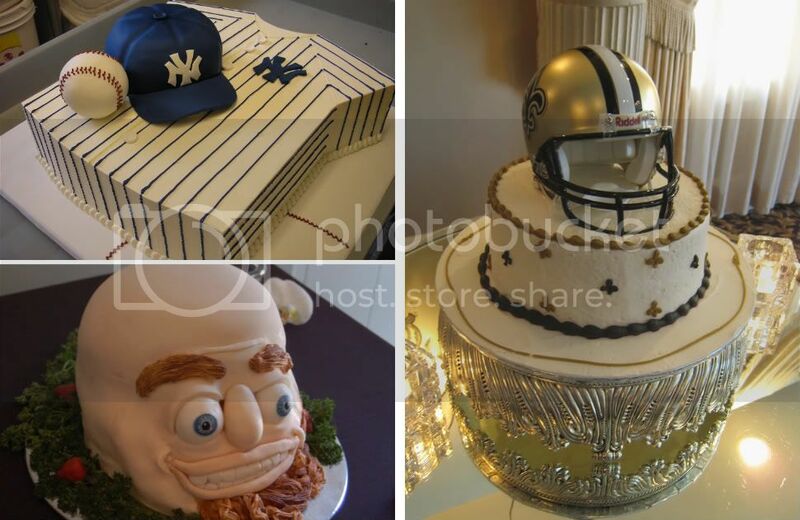 The groom’s cake has remained a popular custom around the world, particularly in the southern American states. There the cakes are typically very sweet and are made of dark chocolate, fruit and liqueur. Typically, a groom’s cake is a smaller version of the wedding cake, but many brides have become more and more creative with what they choose to feature on their groom’s cake. They often replicate their hubby-to-be’s hobbies, favorite sports team or his profession. They say the way to a man’s heart is through his stomach, right? Well, these last two cakes really break the molds of tradition and definitely tickle the tastebuds! The point is, brides, your grooms’ cakes can be whatever you want them to be and are are one area of your weddings where you can really let your personality shine without having to adhere to a particular theme or color scheme. So be creative and give your grooms the cakes of their dreams! Photos courtesy of: Tricia, Karin Dalziel, Derek Key, kwantakoon, aalphotos, Jonathan Noel, davoratox, Paul Kehrer, Lauren Nelson, Debs, petrr, Lindsey Turner and Lauren. :X ohhh the chocolate cakes look so tasty!